The importance of executing research on a schedule is an aspect that AIICells understands. To ensure that the highest quality cells are ready for distribution when they’re needed, AIICells has defined release times based on tissue types. These times greatly enhance one’s ability to plan research according to AIICells’ optimized processing schedule. AIICells has also simplified handling and shipping options. 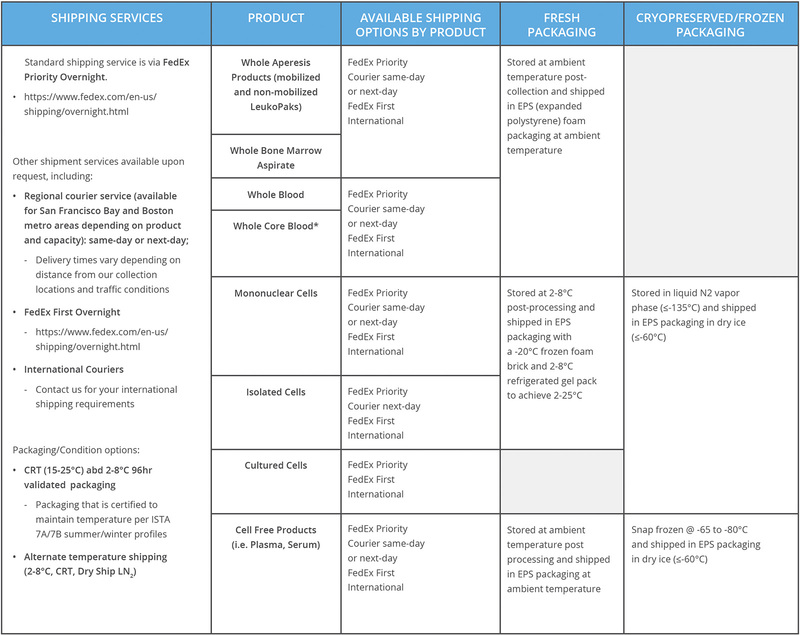 Refer to the Shipping Chart below to learn more.